Stampin’Up! has released the retiring products from their 2016-17 catalog and the occasions catalog. Their new catalog is coming out effective June 1, 2017 so they need to clear the shelves for more exciting products. More to come on this. 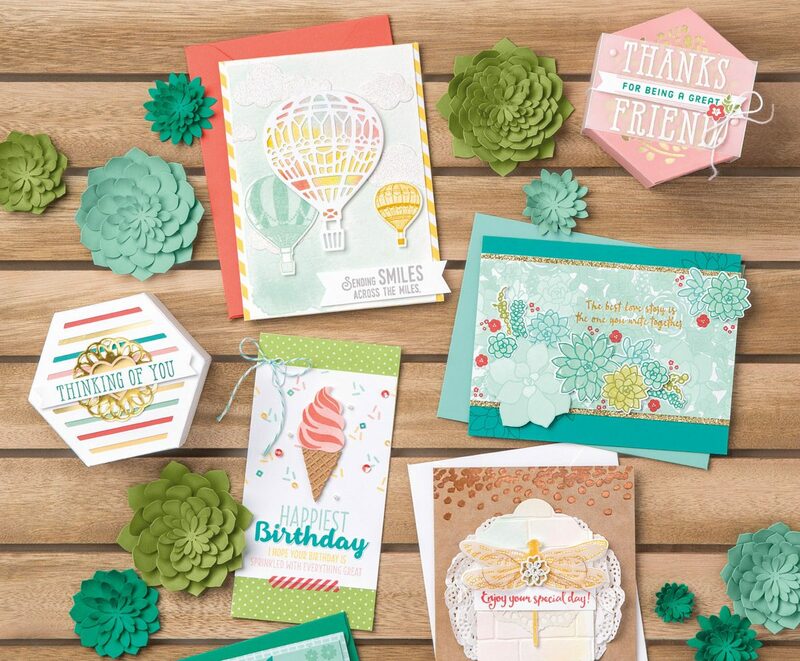 To see the retiring products go to my on-line store at http://darleneseitz.stampinup.com or see the PDF file here: 2017-Retiring-List which includes the amount of the discount and is listed with the page number. You can add retiring products to all orders. Retiring items are eligible for Stampin’ Rewards. All items will be be discontinued after May 31. (Note: bundles on the list are unavailable but the individual items in the bundle MAY be available. See list. All products except stamp set are available UNTIL SUPPLIES LAST. Order deadline is May 31, 2017 by 11:55 pm (MT). So Detailed Thinlit Dies $10.00 off–great for weddings, anniversaries. Owl Punch retiring–an OLD favorite. You can use for making many characters. All Designer Paper by color family retiring. I will be posting items regarding the retiring list every few days so PLEASE FOLLOW MY BLOG FOR DETAILS. Also, I will be posting some information regarding new products coming soon. I am also offering A FREE ITEM valued up to $10.00 when you order from me and the order is $30. or more. Please use HOST CODE WBYC69J7 when ordering on-line or contact me with your order. Please leave a comment or email at darstz@hotmail.com if you have questions or comments.